Did you realize that average amount of bank fees paid per year is $329? I've always made it a habit, even a fun challenge to find banks that are offering me bonus money and open a new account with them. Forget the old days when banks used to give you a cheap toaster for opening a new account. For me, it's about getting more money. A typical caveat is that you need to keep your deposited money in the bank for 90 days or so in order to keep your free bonus money. Once that time is up, I can use all off that money to open another bank account that offers free bonus money. One thing I would never do is use a bank that charges you to hold your money. Having a bank account that charges you fees or any other sneaky charges for the privilege of storing your money with them is ridiculous. But it happens all the time! This comes in many ways, like when you cash falls below a certain deposit balance, the bank will automatically charge your account until the balance rises above the minimum threshold. The most common way is from overdraft "protection" fees. I couldn't believe it when I read the Bank Fee April 2017 Report, sponsored by Bank Fee Finder. It was so stunning, I had to write about it. Under no circumstances should anyone pay money to have money at a bank. Most of these fees are hidden in the form of overdraft "protection" fees. While banks have been punished over this for years, but its still going on. In 2016, banks made over $33 billion in overdraft fees! 50% of Americans have less that $500 in savings! 66 million Americans have no emergency savings at all! 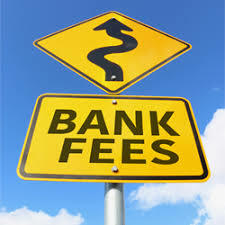 Make sure you look at all of the fees when picking out a bank to use. Monitor your account now and then to ensure you're not being charged anything. If you need a suggestion, take a look at Chime Bank They have no fees and they will also give you a free $50 to open an online account. They are also FDIC Insured up to $250,000. I have an active account with them.